Natasha Sharma is an award-winning children’s books author. She writes across a range of genres, formats and age groups from picture books for tiny ones, early chapter books and early to middle-grade historical fiction. Her poems have featured in anthologies, magazines and in course-books for schools. 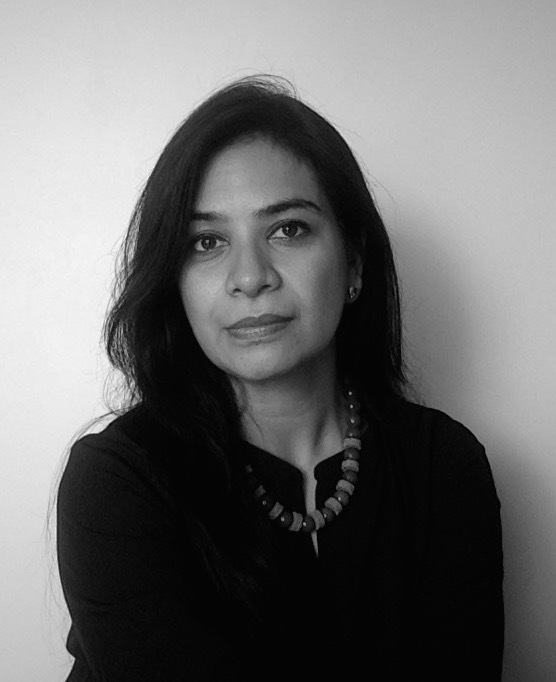 She has published seventeen books for children, including Shah Jahan and the Ruby Robber that was awarded the Comic Con India Best Illustrated Children’s Book 2018, Razia and the Pesky Presents that was awarded a SABA book Honour 2016 and Bonkers! that won the SCBWI Crystal Kite Award 2014 for Asia and Middle East. Her first book Icky, Yucky, Mucky and books from her highly acclaimed series, the History Mystery series have been recognized in the RivoKids Parents and Kids Choice Award two years in a row and her books have featured in Flipkart’s best children’s books in previous years. Her book Kaka and Munni is on the CBSE recommended reading list for schools. Natasha has published with leading publishers in India and has conducted numerous readings and author interactions in schools and literary festivals. She has spoken at Jaipur Literature Festival in 2017, numerous times at Bookaroo Children’s Literature Festival in Delhi, Ahmedabad and Pune, at the Kala Ghodha Literature Festival in Mumbai over many years, Peek-a-Book, Mumbai and the Chandigarh Literature Festival among many others. She is also a member of SCBWI (Society of Children’s Book Writers and Illustrators). She likes change, diversity and a sense of adventure in her work, also evident from her change in career for she worked previously in the corporate sector, last as brand manager for Pizza Hut in India. She is an MBA with a graduate degree in Math and is delighted, quite like one of her characters, Squiggle, to have found her own little doodly corner in the world. A little extra, straight from the author! 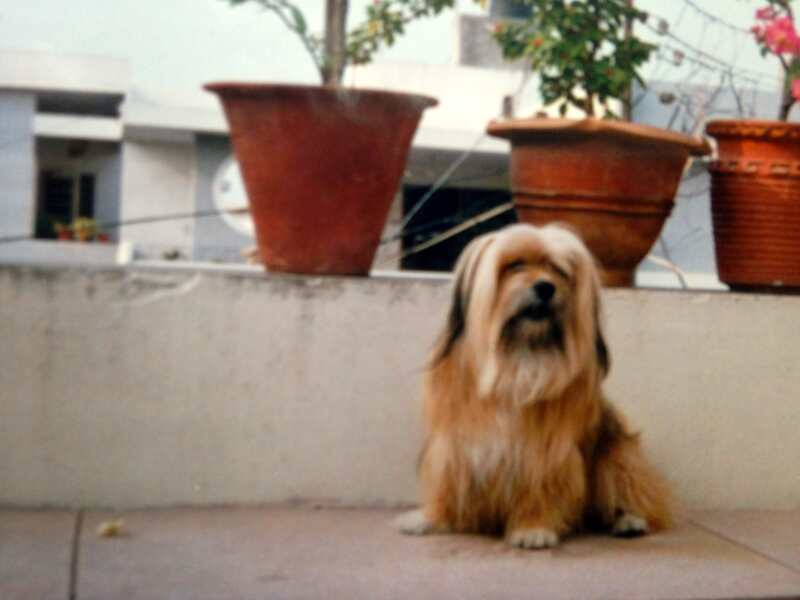 I grew up in Amritsar, Punjab, where my parents had a backyard overrun with animals! These included ducks, hens, buffaloes, horses, rabbits, guinea pigs, many dogs, stray cats and even a rescued squirrel. As a result, my childhood memories revolve largely around crazy episodes featuring many animals. This photograph is of Gapoo – my favourite. I now live in Mumbai, India with my husband and two children – a boy and a girl. Sadly, I do not have a dog at the moment. (In Bonkers!, the chapter on ways to try and get a dog is completely inspired by my son). I do not have a cat, either. Not even a baby donkey. I love baby donkeys. I think they have the cutest faces on the planet. I am writing a book with a donkey in it so it should count for something. In addition to writing and all the stuff that goes with it, I enjoy penning an occasional sketch, photography, reading, listening to music, poring through design books, baking and travel. I hope you decide to pick up one of my books and that it takes you on a wonderful journey! SCBWI Crystal Kite Awards 2014 for Asia and Middle East for Bonkers! First place in RivoKids Parent and Kids Choice Award 2015, 0-5 year category for Rooster Raga. Runner-up in RivoKids Parent and Kids Choice Award 2015, 5-10 year category for Squiggle Takes a Walk. Voted to the Top 3 in the RivoKids Hindustan Times Parents and Kids Choice Award 2014, 5-10 year category for Akbar and the Tricky Traitor. Voted to the Top 3 in the RivoKids Hindustan Times Parents and Kids Choice Award 2014, 0-5 years category for Icky, Yucky, Mucky! Flipkart’s Best Children’s Books in 2014 and 2013 for Squiggle Takes A Walk, All About Punctuation and Rooster Raga. CBSE Recommended Reading List for Kaka and Munni.